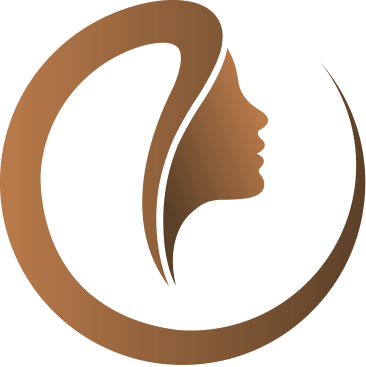 Dr. Welk is a top plastic surgeon in the Seattle area, specializing in facial cosmetic surgery, cosmetic and reconstructive breast surgery, and liposuction and cosmetic surgery of the torso and extremities. As a member of The Polyclinic Tumor Board, Dr. Drew Welk participates in weekly meetings to discuss and determine best treatment plans for each newly diagnosed patient with breast cancer. Dr. Drew Welk earned a medical degree from the University of Michigan. He trained in general surgery at Blodgett Medical Center and allied hospitals in Grand Rapids, Michigan, and completed plastic surgery residency at the University of California, Irvine. Best Latissimus Flap Doctor in Seattle! I am 32 and had a double mastectomy with additional tissue take out from my chest wall post mastectomy. I had my expanders put in about 3 weeks ago and my girlfriends thought they were the final product. Dr Welk is a strait shooter and will tell you what to expect. His details, clarity and work have lead me to believe he is the best in Seattle. Thank you Dr. Welk! My experience with Dr. Welk was nothing but positive. He was caring, professional, and thorough in discussing my possible procedures. I found him to be conservative, making sure I did not have unrealistic expectations, and that I understood possible risks and outcomes. His administrator, Kathy, and his surgical team, Marilyn and Bettie, all were uniformly excellent in educating me on preparation and recovery. They all made me feel very comfortable and well cared for. I unconditionally recommend Dr. Welk if you are considering cosmetic surgery. Dr Welk did a wonderful job on my reconstruction after breast cancer surgery. He was the perfect doctor for me - very honest and straightforward. Dr. Welk was patient with all my questions and anxieties, incredibly clear about the technical aspects (lat flap, implants, surgical and recovery process) and my results were great. I so appreciated his focus on helping me recover from the trauma of losing both breasts. His nurse is fantastic and kind. I highly recommend him! If you're looking for fluff or frilly words, try elsewhere. Dr. Welk will only ever give it to you straight with a touch of humor. He very kindly received/responded to my texts to his personal cell when I had questions, even four months after surgery. The staff is lovely too, particularly Kathy, who went to bat for me when my insurance decided to approve my right breast for a reduction but not the left. Dr. Welk and his staff are all amazing. I saw him for a breast reduction and six months later, I am still happy with the results. From the first consultation, he was thorough in explaining everything I could expect, including my new size and recovery period. Kathy took care of all of my insurance questions/needs and provided me with an accurate out of pocket cost. He has the best staff--Betty his anesthesiologist was just amazing, especially considering how nervous I was. He has a great sense of humor and is straight to the point. If you're looking for a doctor to coddle you, you won't get that from him, but what you will get is a very skilled surgeon who clearly knows what he is doing. I highly recommend him! Drew Welk has a reputation for the "best breast reconstruction following mastectomy" in this area. I engaged him to perform a blepharoplasty, and I am very happy with the outcome. All staff had that perfect blend of friendly but very professional manner. The process was well managed, and at each step, I was confident in my care. I referred a friend to him for a breast reduction, and she was very happy with the results. She referred someone in turn. My personal experience is 5-star performance. All staff members were kind, friendly and very helpful! Dr Welk was very professional, knowledgeable and was able to answer all of my questions! Dr Welk is thoughtful, very knowledgeable and stays current with reconstructive procedures. He deeply cares about his patients. Not possible to improve on my experience with this visit. It was a 'same day appointment' in that I called about a concern in the late morning, my call was returned and followed up on faster than I reasonably expected and I was given a 3pm appointment. Dr Welk is a great doctor and caring person. "The care I received was outstanding. I am so impressed, there is no areas to approve upon. Dr Welk and his staff greatly exceeded every expectation. He is meticulous, brilliant, professional and tremendously kind. I have 100% trust in him. I highly recommend Dr Welk, his staff and this facility. I am grateful for the care he has given me."